Maha Shivaratri is a Hindu festival celebrated annually in honor of the god Shiva. Shivarathri means ‘the night of Shiva’ and is observed in honor of Lord Shiva (The meditative aspect of the Universe). It is a major festival in Hinduism, but one that is solemn and marks a remembrance of “overcoming darkness and ignorance” in life and the world. It is observed by remembering Shiva and chanting prayers, fasting, doing Yoga and meditating on ethics and virtues such as self-restraint, honesty, noninjury to others, forgiveness and the discovery of Shiva. This year Maha Shivaratri falls on 4th March (Monday). According to the legend from Shivapurana, when Shiva was asked by Parvathi what pleases him most, He is supposed to have replied thus: ‘The 14th night of the new moon, in the dark fortnight during the month of phalgun, is my most favorite day. It is known as Shivarathri’. The legend of the marriage of Shankara and Parvati is one of the most important legends related to the festival of Mahashivaratri. The story tells us how Lord Shankara got married to Parvati, his divine consort. According to the legend of Shankara and Shakti, the day Lord Shankara got married to Parvati is celebrated as Shivaratri – the Night of Lord Shiva. To celebrate the occasion, devotees of Lord Shiva fast during the day and pray to the Lord throughout the night. It is said that worshipping Lord Shiva on Shivaratri bestows one with happiness and prosperity. Unlike most Hindu festivals which are celebrated during the day, Maha Shivaratri is celebrated at night. The celebration includes maintaining a “jaagaran”, an all-night vigil and prayers, because of Shaiva Hindus mark this night as “overcoming darkness and ignorance” in one’s life and the world through Shiva. Offerings of fruits, leaves, sweets, and milk to Shiva are made, some perform all-day fasting with Vedic or tantrik worship of Shiva, and some perform meditative Yoga. In Shiva temples, “Om Namah Shivaya“, the sacred mantra of Shiva, is chanted through the day. Abhisheka on Shivalinga is a major ritual on Maha Shivaratri. Abhisheka or bathing the Shivalinga is performed using Milk, Honey, Sugar, Butter, black sesame seeds, Ganga Jal etc. After this, sandalwood paste and rice are applied on Shivalinga and fresh fruits and flowers are offered. Shiva Purana states the following things to be done on Shivaratri. Bathing Shivalinga with water, milk, honey and bel leaves which symbolize purification of the soul. Applying vermillion or kumkum which signifies virtue Offering fruits which signify longevity and gratification of desires Burning of incense symbolizing wealth; Lighting of lamps which signify the attainment of knowledge Betel leaves marking satisfaction with worldly pleasures. Shiva is the meditative aspect of the entire Universe. Shiva pervades the entire Universe. He is in every atom of the Universe. He has no form but is in every form, so full of compassion. Ling means symbol (chinha in Hindi) that is how it’s come to be used as in Striling, Pulling, (female and male gender) Chinha means that through which you can recognize the whole consciousness represented in the Ling. In Tamil, there is a saying “Anbe Shivan, Shivan Anbe” means Shiva is love and love is Shiva, the soul of the creation called Isha or Shiva. 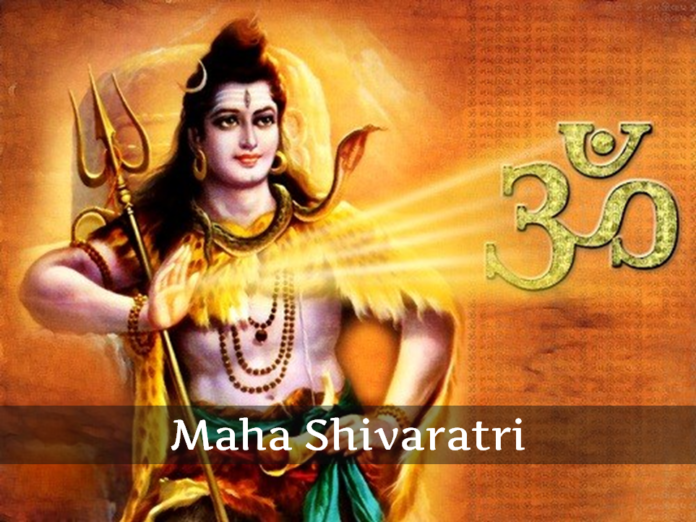 Fulfill All Wishes with a Special Worship of Lord Shiva on Maha Shivratri.